Natalia Margolis, Hackbright Fellowship Grad and Software Engineer at Huge, created an app called Notifica that allows people detained for deportation to send out alerts to family, friends and lawyers with the push of a button. In celebrance of #GlobalEngineer Day, we sat down with Natalia and talked about her experience at Hackbright, her experience working on Notifica, and her advice for women seeking a career in software engineering. What was the inspiration behind creating the Notifica app? The inspiration came from Adrian Reyna of United We Dream, and the original hackathon team in Oakland. We met at a post-election action Meetup co-organized by PyLadies and Techqueria. When we went around the table saying what gave us hope, he said it was that folks already have strong networks supporting them. Adrian wanted to use tech to create a tool to activate those networks for a rapid response to Immigrations and Customs Enforcement (ICE) raids and to give people some control in a moment of chaos and uncertainty. 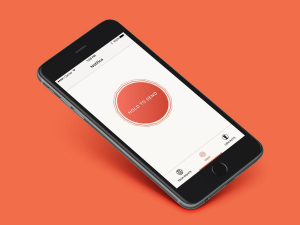 For our company hackathon, Cid Donham, Genki Hagata, Jessie Kim and I worked with Adrian to make this app a reality. The goal is to provide a way for undocumented immigrants to take control in a situation that causes a lot of uncertainty and fear. We were all deeply disturbed by the militarization of ICE and the fact that more and more people are getting swept up in raids and targeted attacks. After the hackathon, we ramped up and an incredible team of developers and designers worked around the clock, fighting to get the resources we needed to get this app into the hands of users as fast as possible. How has the creation of the app impacted your own life? It impacted my sleep and quesadilla intake… But seriously, this has affirmed why I got into tech in the first place. I wanted to find ways to bridge tech and social justice. After working on this, I have more confidence that I can actually do what I originally set out to do when I made the career transition. I have also learned how much can get done, and how many roadblocks you can work through, when a team is passionate and genuinely cares about the success of the product on a deeply personal level. For everyone who worked on the team, this project has inspired a sense of purpose. How did your experience at Hackbright prepare you for working within a large digital organization like Huge? I learned how to pick up new technologies quickly, and I learned to not be intimidated by the unknown. Pair-programming taught me how to communicate clearly about code, how to collaborate, and how to leave the ego out of work. Being around inspiring and supportive women also set me up with a little voice in my head encouraging me when I have challenges, and advising me about how to succeed as a woman in this industry. Why is it important for software engineers like yourself to create apps for good? If the tech community is upset about what’s been happening after the election, or what’s been going down for a lot longer than that, it’s time to do something about it. The tech industry has a ton of resources and skills to contribute. As a privileged white woman, I have benefited from an unfair system, and have a lot of resources too. Let’s leverage our resources by working with nonprofits, grassroots movements, and civic organizations to develop the tools they need, and develop apps with a purpose. And hacking on apps for good in our spare time is a great start, but we also need to change the industry fundamentally. We need to be conscious of the ethical impact of our work and the lack of diversity in the culture of tech itself. For example, when software used to make decisions in the criminal justice system ends up having racial bias, it’s clear that software engineers need to think about the implications of what we’re developing and make sure the decision-makers and developers are diverse enough to have the perspective to flag these kinds of issues in the first place. 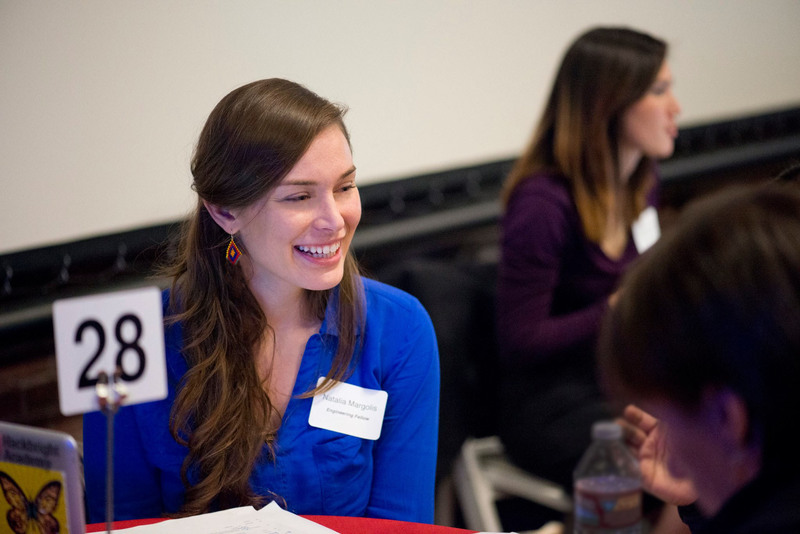 Any advice do you have for Hackbright students pursuing the job search after graduation? Don’t be afraid to admit when you don’t know things. You won’t learn anything if you pretend you already know it all. The companies that are worth working at will value that honesty and curiosity, and will be the best places to grow. Bay Area Girl Geek Dinners is offering $1,000 scholarships | Apply here! In honor of International Women’s Month, every student will receive a $1500 scholarship for our full-time fellowship or a $500 scholarship for our Part-Time June courses! Hackbright Academy is the engineering school for women in San Francisco dedicated to closing the gender gap in the tech industry offering 12-week software engineering programs and night courses for women.